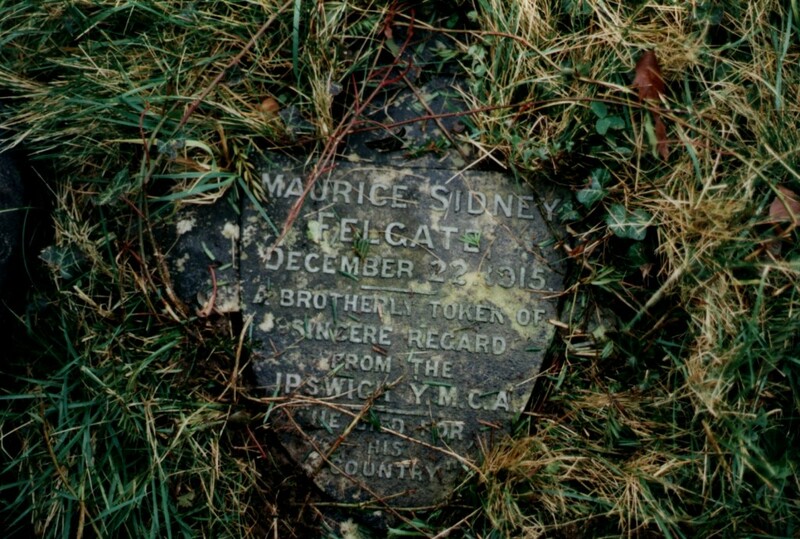 Maurice Felgate was the son of William and Emma Felgate, of Ipswich. He died on 22nd December 1915 of sickness following enteric, aged 26. Details of his military career are not known but soldiers often succumbed to illness after spending time in the trenches in adverse conditions. A small memorialplaced by the hedge out side the war plot was found early in 1999. (Memorials are not permitted in the war plot.) The memorial was commissioned by the Ipswich Y.M.C.A. He had probably been a member of had a close connection with the organisation. It bears the commemoration “He Died for his Country”.